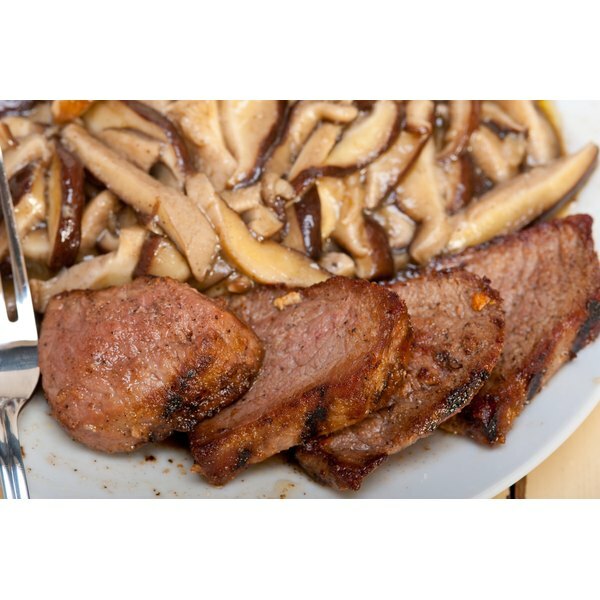 Deer tenderloin steaks provide a tender, juicy and flavorful cut of meat. If your hunting efforts were successful and you bagged a deer, you need to butcher it so that you can enjoy the delicious venison. The tenderloins, or backstraps, are located on both sides of the spine and are the most flavorful and tender cuts on the deer. Cutting up the deer tenderloins starts with proper skinning and removal from the carcass, followed by prepping and trimming the fat before finishing by cutting into cubes or steaks. Hang the deer with a gambrel attached to the ceiling in a shop or garage. Hanging the deer from the rear legs makes it easy to skin and butcher the deer. Skin the deer with a caping or skinning knife to expose the meat. Start by cutting the hide on the rear legs, and gradually pull the hide down to the neck. Cut down the right edge of the spine with a fillet knife. Start by the hip bone, and cut down until you reach the front shoulder and top of the neck. Remove the tenderloin slowly by trimming the meat away from the spine and rib cage. The tenderloin should be one long piece of meat. Place the tenderloin on a cutting board, and remove the other tenderloin from the carcass. Trim the silver skin and fat from the tenderloins with the fillet knife. Look for any small pieces of hair as you remove the fat. Cut the tenderloins across the grain into 1/2-inch steaks. 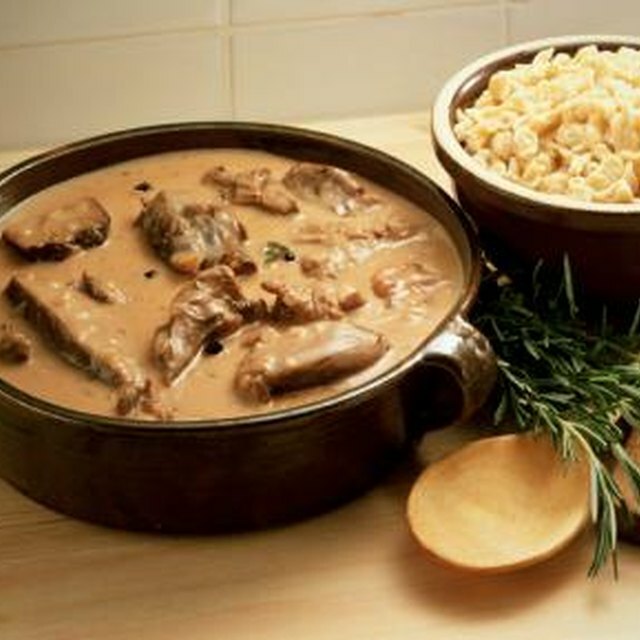 You can also cut the tenderloins into cubes or small pieces for a roast, stew or stir-fry. Always field dress the deer in the field and keep the carcass cool before butchering. Keep your knife sharp by periodically using a knife sharpener as you cut up the tenderloins. Remove any hair from the tenderloins during the butchering process. Package the cut tenderloins in a vacuum bag before freezing.